Movement Mortgage makes it simple for their clients to fill out an online application, as they offer an easy-to-use app called EasyApp. With the app, you can sign into an account and begin your application process. Once the process is received, they have an underwriter review your paperwork and application. At Movement, they complete their work in a six-hour underwriting process. From there, your application is handed to a processor. Within Movement Mortgage, the processor has seven business days to complete your application and fulfill the requirements set by the underwriter. Once the processing of your application is completed, your file is sent to a closer, who has 24 hours to finish your “closing package.” A closing package is a final collection of the documents necessary for you to get a loan. If you are wanting a loan for a new home, you want to choose a lending service that will get you answers to your application as quickly as possible. After all, the perfect home for you could be waiting out there for you, so why waste time fighting for a loan? 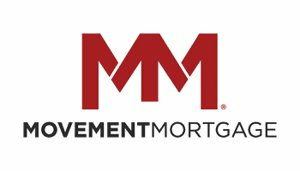 Movement Mortgage works with you to get you the loan you deserve. With the help of both FullSail Realty and Movement Mortgage, you can receive your loan quickly and purchase your new home that much faster. Contact them today.